Don’t let dongle’s dangle — wrangle the tangle. 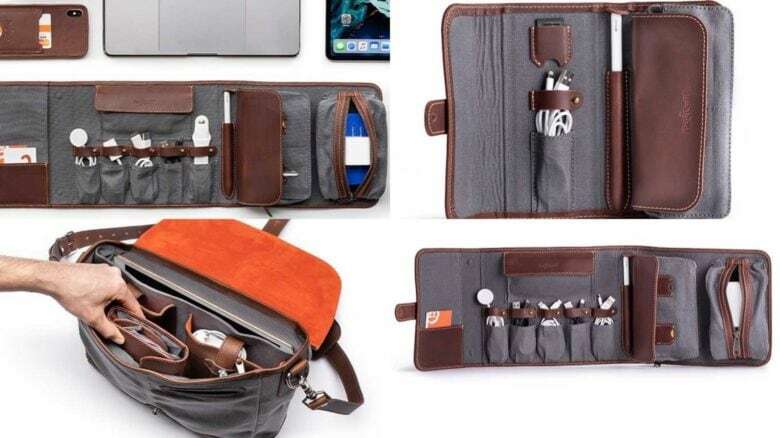 Check out Pad & Quill’s latest trio of gadget organizers. The Tech Folio, Tech Folio Mini, and Tech Folio Pro are variously-sized pouches with pockets, clips, and stretchy bands with which to wrangle and organize your cables and gadgets. Let’s take a look. Gadget organizers as are fantastic. They’re kind of like packing cubes for your electronics, keeping everything in one place, and easy to find. They also stop most cable tangles. The Pro is a behemoth. Pad & Quill’s Tech Folios are a characteristically classy take on the idea. Fashioned from leather and canvas, these organizers Come in three sizes. 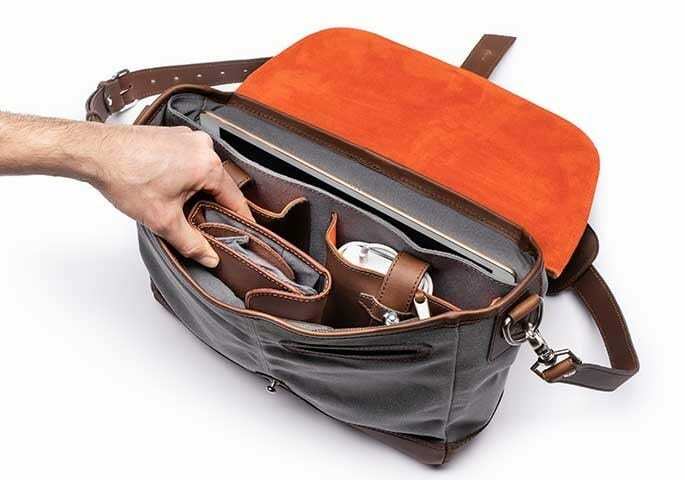 The biggest is the Pro, which is styled like a classic tool roll, I only it folds closed instead of rolling up. It has little pouches for cables and earbuds on one side, and two larger pockets for power banks, external drives, or chargers on the other side. There are also slots for SD cards and several other handy spots. A cable-tidy keeps your bags tidy. The Mini is much smaller, folding up to the size of a generous San Francisco burrito (officially the biggest burritos known to humankind). Like the others, the Mini has a spot for the Apple Pencil inside its spine, and closes with a strap and rivet. Finally, the Classic is somewhere between the two, with more pockets than the Mini, but not as huge as the Pro. The Tech Folios run from $50 up to $120. I’ve used a bunch of Pad & Quill’s gear over the years, and it’s all top-notch, and built to last forever. But even if these particular cable folios don’t catch your fancy, you should take a look at other options. Not only are cable organizers, well, more organized, but they will protect your cables and widgets, and stop you losing them.